I have recently become acquainted with Tapio Syrjälä through Sami Länsipaltta’s Facebook group, Puukkolareena. 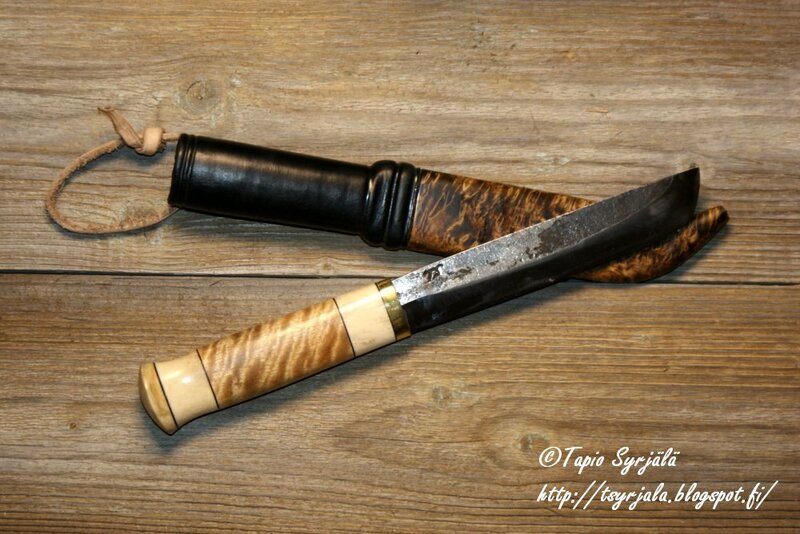 Tapio has been posting photos of some very nice puukkos with curly birch handles so I sent him an email to find out more about him and his work. 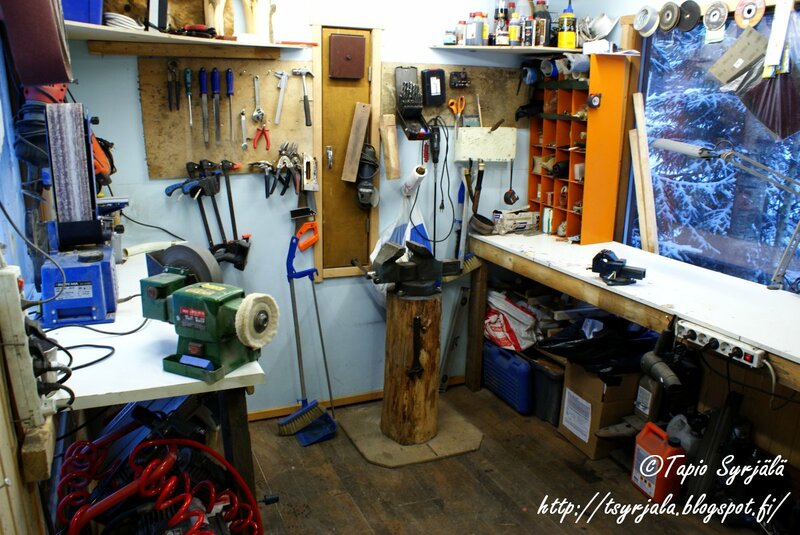 Tapio lives in Aura, Finland and has been making puukkos for less than a year. 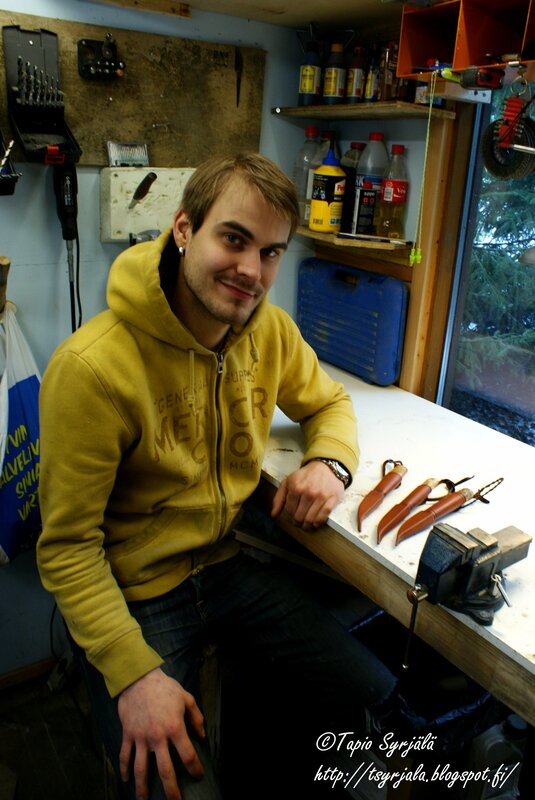 He appreciates the traditional puukko and is able to capture its unique qualities in his work. He’s created a shop in a converted sauna in the yard at his house and he’s come a long way in less than a year. I’m pleased to feature his work here and I hope he’ll be a frequent contributor. 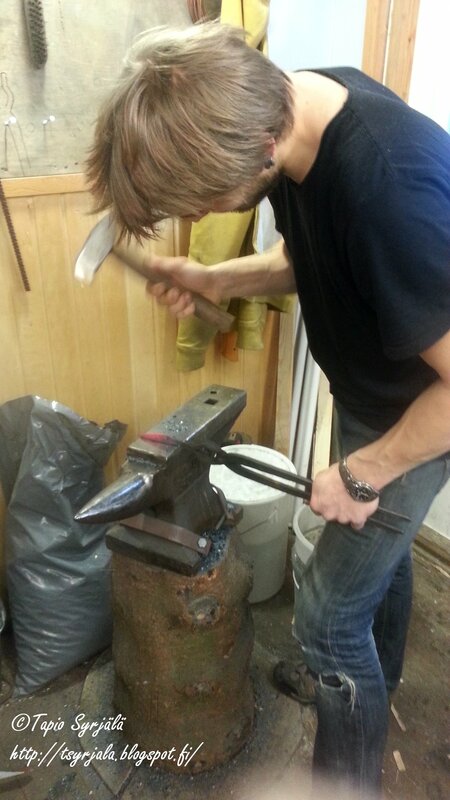 Thanks Tapio, very nice work, you’ve got a great future ahead of you! 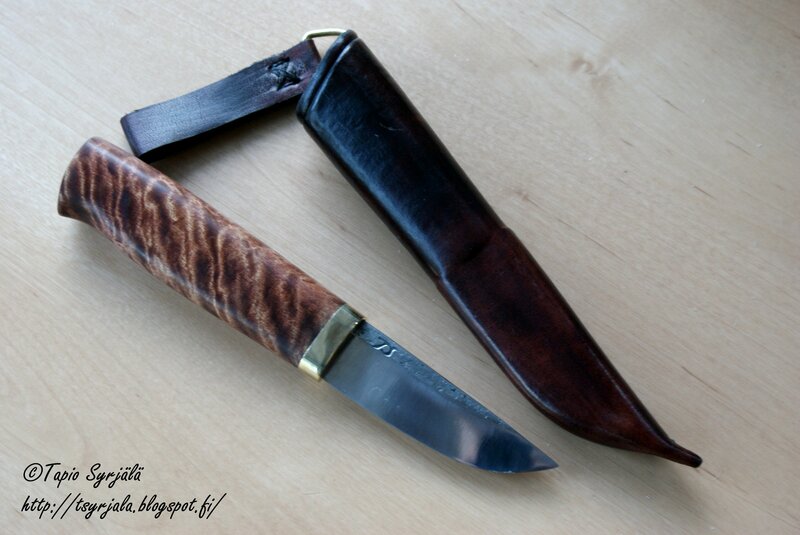 “I have always used and been interested in knives. I remember that I had my first Swiss army knife when I was about 5 or 6 years old. 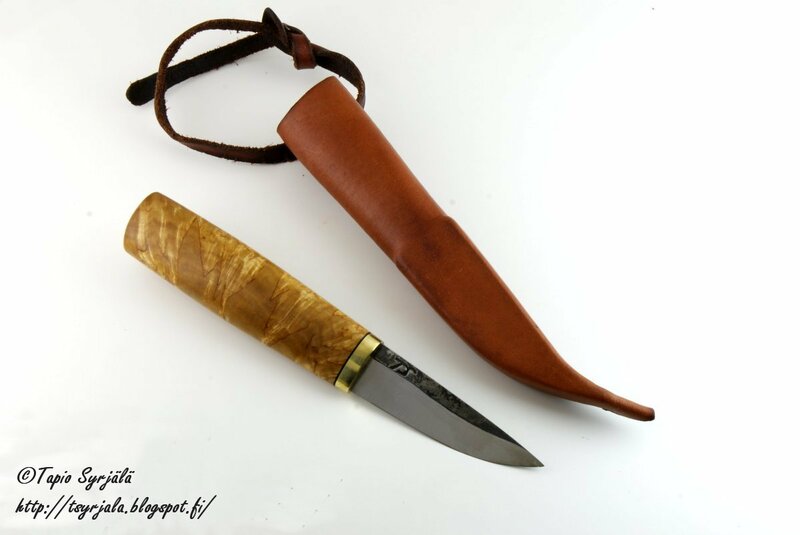 I started knife making last spring (2013), when I had a puukko with a very bad sheath, so I started to search the web on how to make a better sheath for that puukko. 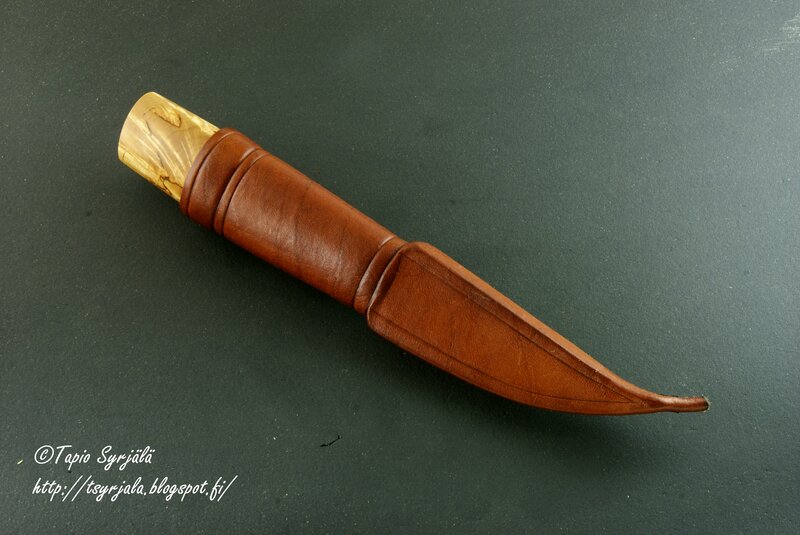 When I was searching for some kind of guide to make a sheath, I found some blades from one web store, so I thought I’d like to try to make my own puukko! First I ordered blades, but that is not for me, so I had to start to make my own blades, first in the yard, but now I have indoor space to practice knife making. I´m self taught, still learning and I have a lot to learn. I take a little bit here and there depending on what suits the way I work. In most cases, I have to come up with a suitable way to work. 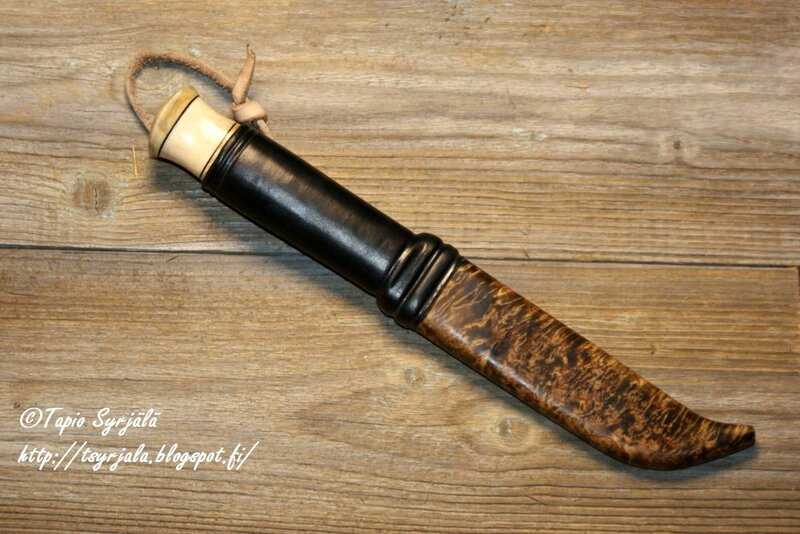 When I started to do my first puukko, I really didn’t have any influences, but now I try to make simple and fine looking practical tools which are traditional puukko design with some kind of a pinch of me. 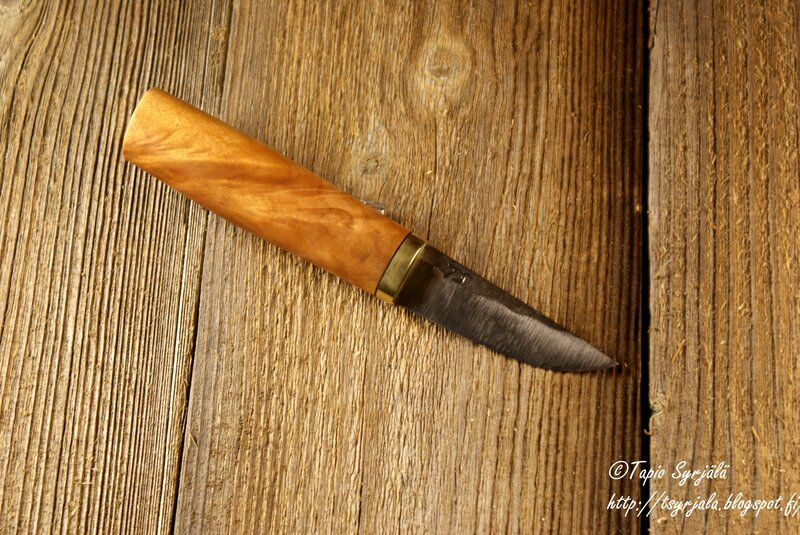 I really like traditional materials like curly birch, birch burl, and all other types of Finnish wood. Also, brass is my favorite material for fittings, all the brass I use I smelt by myself from old scrap metal. 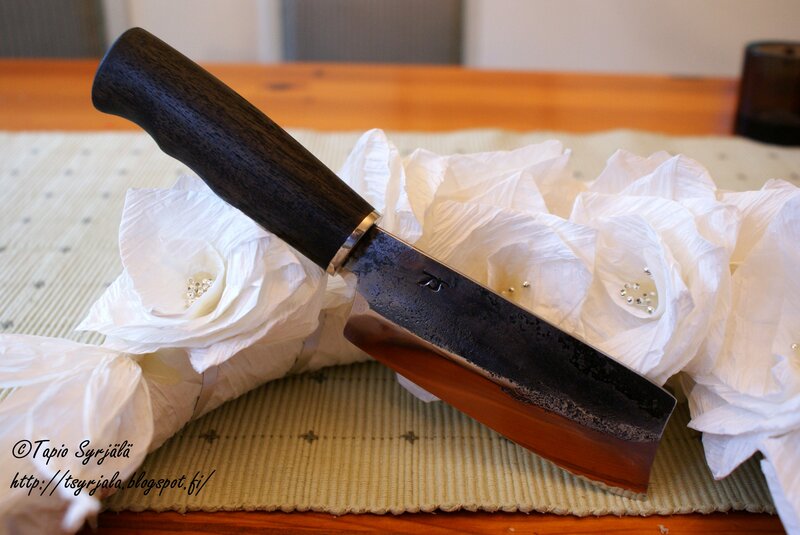 For the blade, I think the best material is carbon steel. Now I use 80crv2 steel. It’s basic carbon steel with 0.8% carbon and light add chrome and 0.2% vanadium. Now I have some silversteel but I did not test that enough yet to do a blade from it. I really want to do my own blade metal, like wootz. I have one friend nearby who practices this kind of work so… maybe that is the next story? 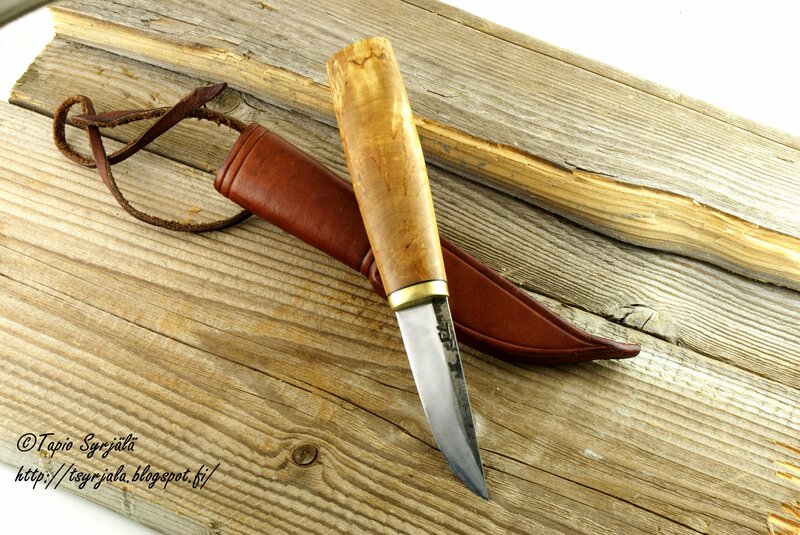 While I don’t have a favorite type of puukko, I like simple and practical puukkos. Where I live in Aura, Varsinais-Suomi, near Turku there’s no traditional style of puukko. Maybe some day will be? 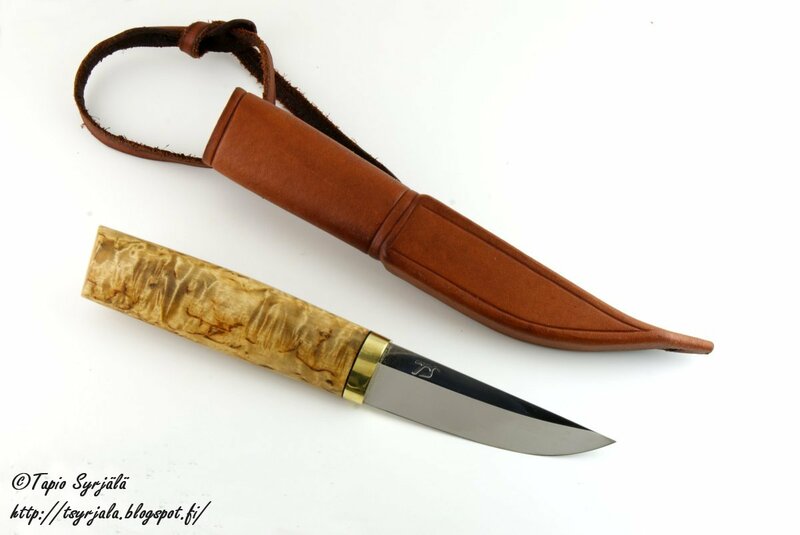 I really hope that also ordinary Finnish people start to understand the culture of puukko. I think that modern people have forgotten why a knife is such an important tool. 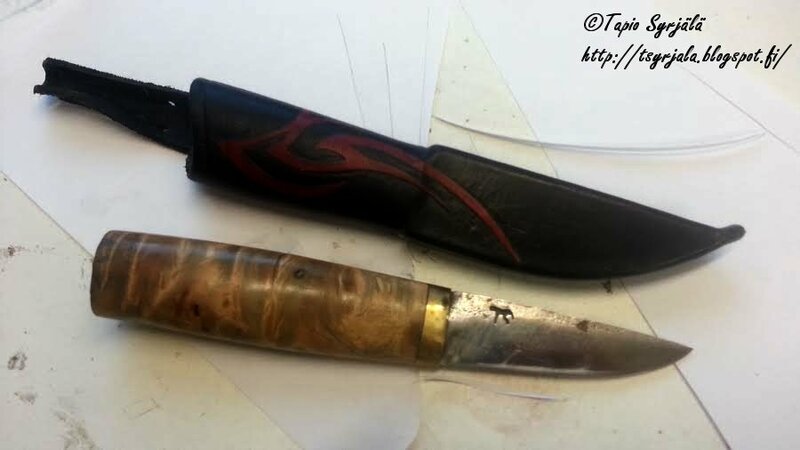 “One of my first knives with self made blade with old stamp, maybe number 2? 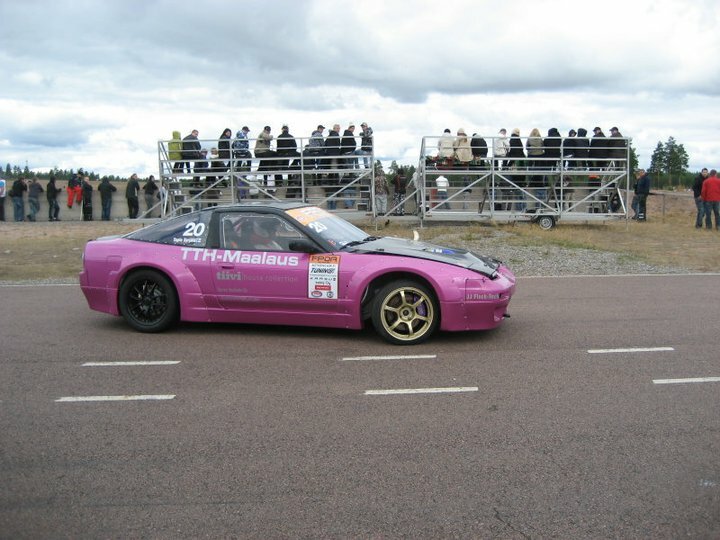 Tapio’s drift car that he built. This entry was posted in Uncategorized and tagged Tapio Syrjälä. Bookmark the permalink. great job and nice knives. Tapio shows great promise. Wonderful shapes on those first two knives. Thank you Christian, I agree. Thank you Christian for the compliments! Beautiful work! 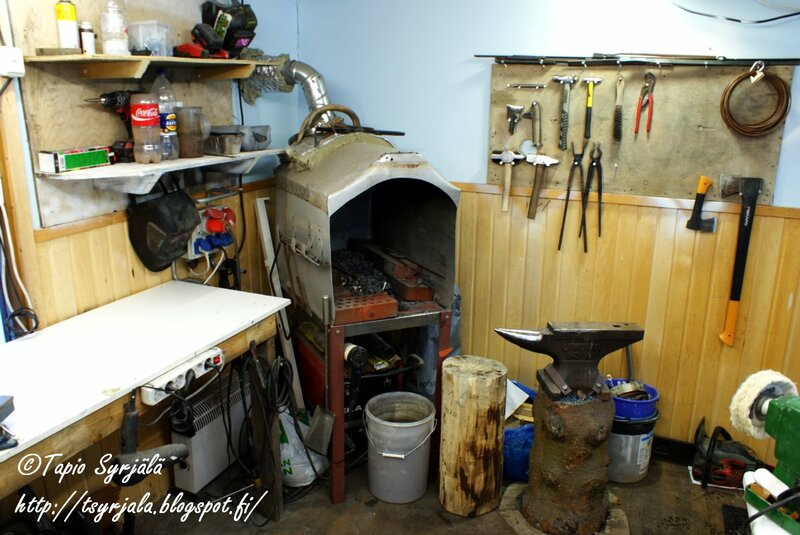 I also wanted to say that I really like Tapio’s workshop. Man, you should have a facebook! Fantastic knife deserve more worldwide recognition! 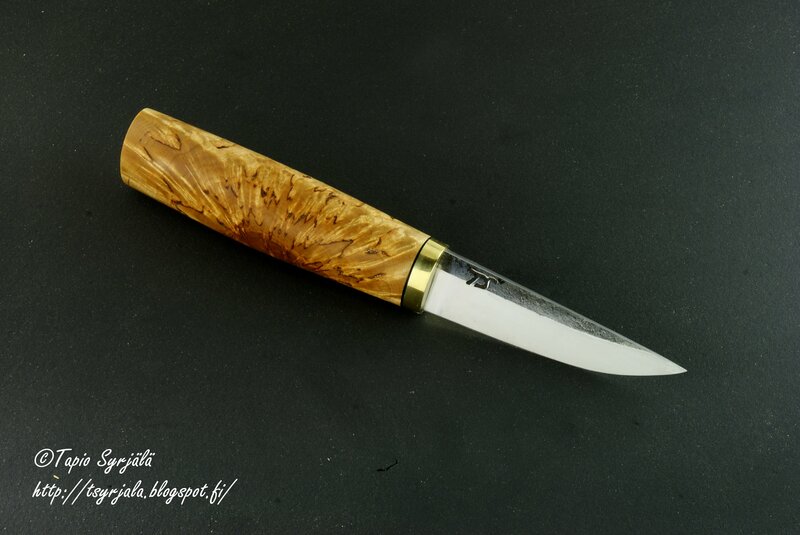 Very beautifull knives and congratulations for The race cars.